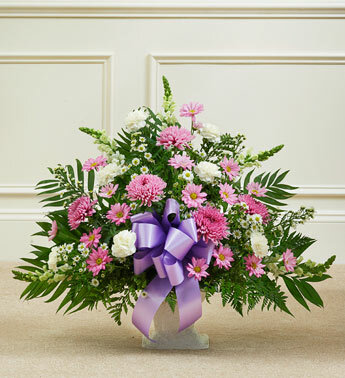 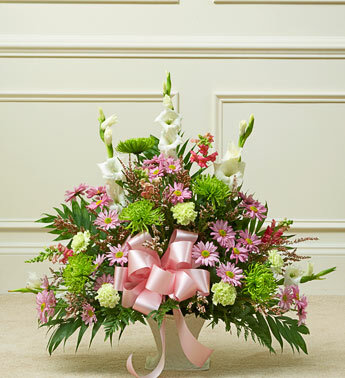 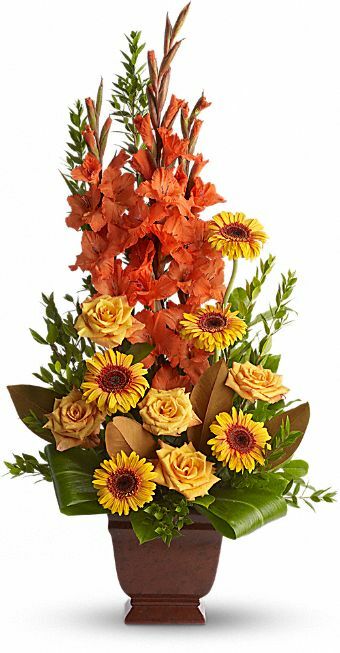 A graceful, modern funeral spray of warm, tropical colors. 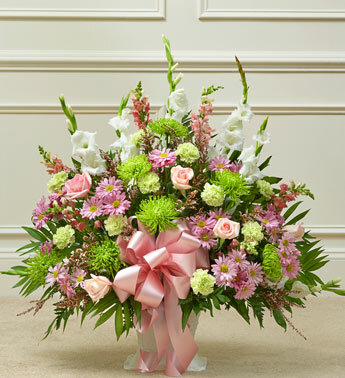 This standing spray on an easel features flowers such as roses, gladioli, anthurium, orchids and tropical greenery. 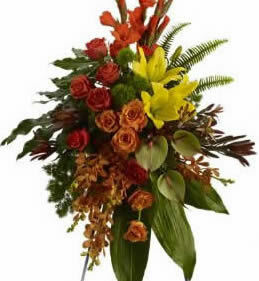 Available in other colors and may feature different tropical flowers based on availability.